Ignore this part, just an unedited quote from this thread of me correctly predicting the state of the game at launch. There is incredible potential for a breath taking Star Wars experience that could be accessible to every type of player: offline, online, talented, not-so-talented, canon lovers etc. Your trying to please all these people, but your doing it the wrong way. Its impossible to do it with online. Online is not meant for this game as a primary feature. Secondary, sure, but not primary. So this is what I propose and would love to see more than anything else in future Battlefront games (since it unlikely to happen in this one). Essentially, it is just the same as the original Battlefronts Galactic Conquest, but it would take advantage of all the big budget and new technology to absolutely enhance that experience. Therefore making your new Battlefront game the standard to look to and not the Original ones. • full interactive 'team battlecruiser' (eg the Venator) becoming the central hub in between maps/matches. Including galaxy map and planing station in the bridge, customisation menus, armouries, etc This is heavily inspired by Warframe and would be absolutely perfect for this mode. 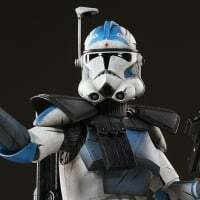 • customisation of your trooper as you rank up. It would be good to be at halo accessability eg arms, helmet, legs, but would probably work better to apply basic skins and then add smaller things like visors etc. It might be a little hard for stormtroopers, but if there a will, there's a way. • customisation of your team eg team colours/emblems. This would be hell cool. Pretending you are some new, purple-stripped, clone army. It would be cool to design team squad emblems, like black ops emblem maker. • being able to select and rank up 6 selected AI team members to become your close squad or second in command, (seeing as you're the commander), as well as customising and naming them. Very similar to assassins creed brotherhood except way, way better. This makes child me froth. It could be just like the clone wars show with fives and all that. I would be cool to be able to make emblems and put them where ever on the armour as well, like with some racing games. You could make them like Tup, the Clone with a tear drop under his eye. •being able to compare your teams score with another's in the battlecruiser. •maybe ever select a 'general' hero character for your ship at the start like the clone wars having Jedi generals. •minimal loading screens. Have the blue rings for hyperspace burst around your battlecruiser going to the next map while you walk freely in the ship, like Warframe. This would step immersion up a hole other notch. • put in 3 different cut scene scenarios for each map. That way it won't feel so scripted. You can make your own story up. •and of course, it should have accessible landed vehicles able to take off and land, as well as hanger to hanger, and troop transport. The ultimate, but unlikely would be to fly directly from your battlecruiser down to the ground, land a troop transport and drop of heaps of your troops. This would be the ULTIMATE star wars experience. You have the potential to redeem yourselves from the backlash with this. You have the potential to create a revolutionarily good game. A game that could last generations. A game better than the originals. My brain has never been so exited for a game before (especially one that is not ever in the making). I swear to god I would pay $300 up front for a standard edition of this game. Now that you guys have nailed the gameplay mechanics in star wars battlfefront 2 eg starfighters, Jedi etc you can focus your funds back towards the offline in the next one, back to what made battlefront great. I truly believe this mode would make everyone happy- kids, adults, both good and bad players, and general star wars fans etc. Please... Dew It....!!!!! Make fans happy for the release of the final film in the trilogy. Please, please, please, make this happen. Galactic Conquest has the power to save the fans you love, EA. It doesn't sound like a Battlefornt game. But I love it. It sounds like it'd be a really cool experience, sort of like Anthem but Star Wars. Thanks. I mean... the game would still play like battlefront conquest mode. Just alot of additional stuff is added.